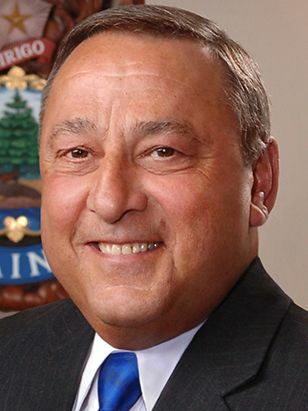 Info Paul LePage, mayor of Waterville, and general manager of Marden's, will offer Maine's voters an unusual opportunity this year - the opportunity to elect a chief executive with an actual lifetime of executive experience. This may sound strange, but it is true that most governors come to office after a lifetime almost entirely devoted to chasing votes. This is one reason that forty-five out of fifty American states face a financial crisis this year. Paul is no business bureaucrat who worked his way up the corporate ladder by following the rules, working the angles or playing office politics. He has spent most of his life tackling one challenge after another, the kinds of challenges that defeat most people. The oldest son of eighteen children in an impoverished, dysfunctional family, Paul left home at the age of eleven and lived on the streets of Lewiston for two years, making a meager living shining shoes. At age thirteen, two families jointly "adopted" Paul. Eddy and Pauline Collins kept him busy washing dishes at the Theriault's Cafe. Bruce and Joan Myrick kept him busy hauling boxes. Bruce was a Pepsi-Cola truck driver. Later Paul worked at the Antoine Rubber Company and at a meat packing company. While attending Husson, he supported himself as a short order cook and bartender, while making time to be the editor of the college newspaper. Getting into Husson presented a challenge in itself. Paul was brought up speaking French. Although his S.A.T. scores in math were excellent, his verbal performance was so poor that no college would accept him. It was only because Sen. Olympia Snowe's first husband Peter persuaded Husson to administer the exam in French that Paul was admitted at all. After that, his mastery of the English language and his academic achievements soared and he graduated with a BS in Business Administration in Finance/Accounting. He subsequently earned an MBA from the University Of Maine. Paul continues his education to the present day, taking courses, teaching courses as an adjunct professor, conducting business seminars, and as an avid collector and reader of books. Mickey Marden hired Paul as his company's general manager in 1996. Paul's achievements as general manager of Maine's best known retail institution fits into a career which equips him with a broad base of experience and knowledge, starting with an executive position with Arthurette Lumber in Canada. He has made a specialty of growing private businesses in unique markets, exactly the kind of talent that Maine needs. As head of LePage and Kasevich, a private consultancy, he has provided chief executive officer, chief operating officer and chief financial officer services and advice to banks, law firms, client companies, insurance companies, bankruptcy courts and trustees. Paul has acquired knowledge and experience of the manufacturing, wood products, forestry, power, furniture, food and beverage, building supply and construction industries in Maine and Canada. There is no one in politics, goverment or academia who has a broader or deeper practical knowledge of what makes Maine work. Next to escaping a life of poverty in Lewiston, Paul's greatest success has been as Mayor of Waterville. As a Republican in a solidly Democrat town, working with a Democrat council he set himself a goal of reducing taxes every year of his tenure and succeeded. He did not accomplish this by gimmicks like mindless "cross the board cuts", but by the same methods he brought to business time and time again throughout his career. That is, by attention to detail combined with a constant view of the big picture and a zeal for efficiency.